This is a demo case in order to illustrate the behavior of particles after an impact. The particles or colored based on their resident time. 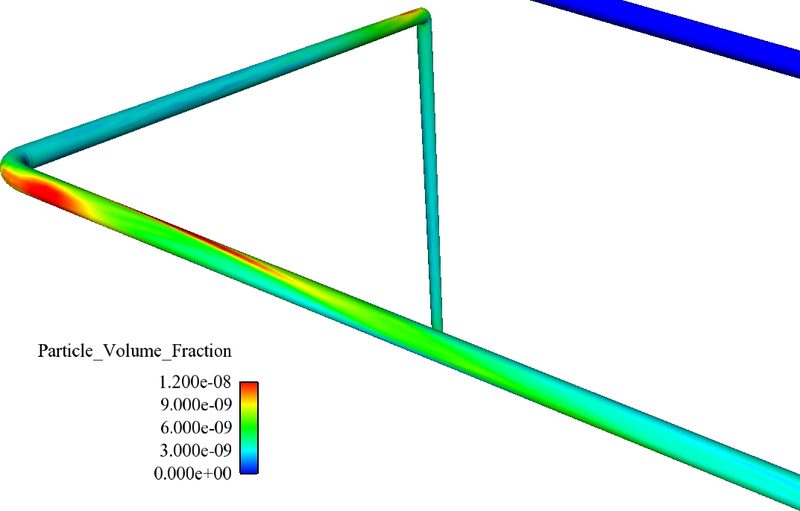 Near-wall particle concentration, after 2 elbows, in a turbulent pipe flow. 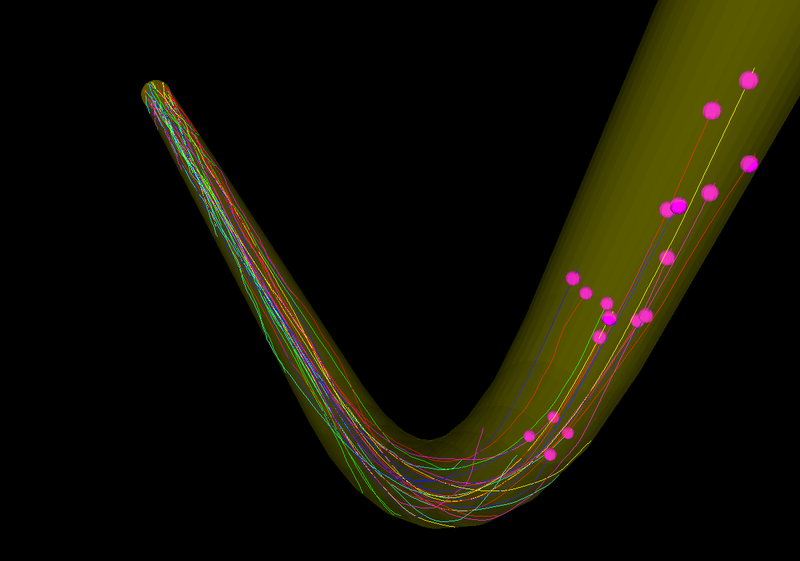 Examples of particles trajectories after a bend in a turbulent pipe flow. Cyclone separators, particle deposition, impact phenomena.